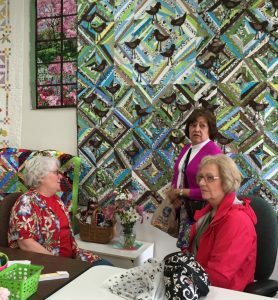 We had a successful book signing party at The Quilting Season yesterday. Many of my quilting friends and colleagues came to celebrate publication of my new book. This entry was posted on Thursday, May 12th, 2016 at 10:56 pm	and is filed under Uncategorized. You can follow any responses to this entry through the RSS 2.0 feed. You can leave a response, or trackback from your own site.